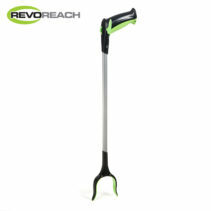 The scooter can provide many solutions to helping men and women get around from A to B when walking for long periods of time isn’t always an option. 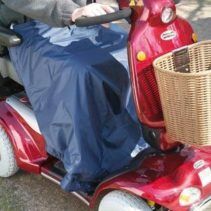 When considering to buy a scooter, choosing all weather clothing protection to wear when out using your scooter will provide the extra protection enable you to use your scooter in rain or shine. 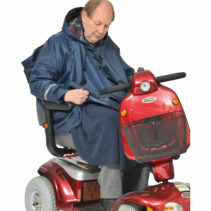 Elite Healthcare’s all weather protection clothing is also suitable for wheelchair users and provide thermal and insulated comfort. 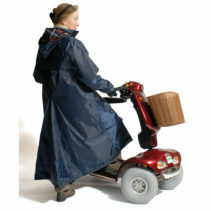 Scooter Leg Cape and Cosy It can be difficult to predict the weather sometimes. 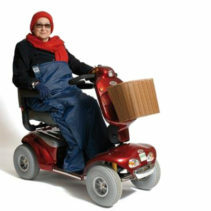 To help scooter users be prepared for a change in weather conditions, the scooter leg or body cosy wraps around leg like a sleeping bag so you can go about your daily duties feeling protected and comfortable. 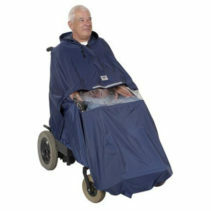 Powered wheel chair cape The weather shouldn’t prevent anyone from from enjoying a day out. 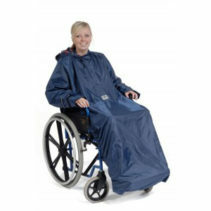 The power chair clothing cape protects anyone who relies on a wheelchair for mobility. 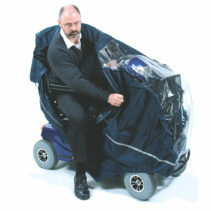 The cape is weatherproof and provides a clear poly window to allow the user to see their operating controls. 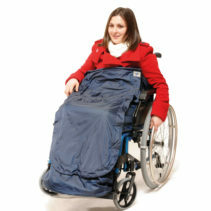 Wheelchair apron The wheelchair apron fits like a sleeping bag and has the added benefits of 3 in 1 protection. 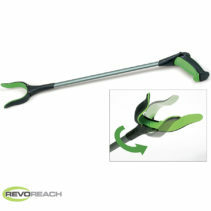 However, the chair clothing cape can also be purchased unlined.